(Intersociety, Nigeria: 28th November 2017)-Our Organization-Int’l Society for Civil Liberties & the Rule of Law (Intersociety) respectfully write your public offices as it concerns the above underlined subject. This letter of ours had arisen following challenges generated by the just concluded Anambra 2017 Governorship Election that took place on 18th November 2017 and the urgent need to address those challenges head long so as to ensure participatory, popular, free and credible General Elections in Nigeria in early 2019. As globally known rights CSO based in the Southeast Nigeria, we played a leading role in the pre election and Election Day advocacy in the Anambra 2017 Governorship Election and in the course of same, the following challenges were identified: (a) call and massive campaign for election boycott, (b) threats of violence by election boycott advocates against the Anambra voting population, (c) poor handling styles of the threats by security agencies leading to fears and apprehensions especially among independent and elite voters, (d) creation of psychological insecurity by way of militarization of Anambra State in the name of “election security”, (e) election security corrupt practices by way of roadblock extortion, etc. Others are (f) over-publicity regarding poll security deployment of war-like combatants and arsenal; thereby heightening and escalating fears and panics among already traumatized voting population, (g) over-spending of public funds on poll security deployment, (h) non issuance of permanent voters’ cards (PVCs) to over 350, 000 registered voters in Anambra State, (i) indiscriminate sharing of cash and other inducements (voter procurement) to lure and influence voters; to the tune of estimated average of N500,000 spent in each of the State’s 4,608 polling booths, (j) non participation in the voting exercise especially by larger population of independent and elite voters owing to generated fears and tensions including threats of violence by poll boycott exponents and voter militarization by security agencies. The rest are (k) general and repetitive low participation by PVC armed voting population which had been a recurring decimal in Nigeria in general and Anambra State in particular, (l) possible scientific manipulation of figures or rigging of the poll by (i) alarming number of invalid or rejected votes to the tune of 26, 457 out of 448, 771 total votes cast, (ii) generation of 8, 540 accredited but un-voted voters or total number of those who were accredited but never voted; despite their acceptance by INEC Smart Card Readers and the Commission’s policy of “simultaneous accreditation and voting”, (iii)strongly suspected uploading of thousands, if not tens of thousands of names as “already voted voters” and their perfection using fate thumb printed ballot papers perfected during election hours. It is recalled that there were reported cases of “buying and selling” of PVCs especially in rural parts of Anambra State as well as forceful demand for their original or photocopies from some, if not many civil servants in Anambra State. Such cases were also reported in urban residential areas especially during weekends and weekdays (morning and evening hours). Vulnerable and immoral owners of PVCs are induced or forced to surrender their PVCs or allow their serial numbers to be copied; with their passports taken in many cases. Others, particularly the civil servants were threatened with victimization if they refused to submit their PVCs or photocopies of same to “appropriate quarters” for undisclosed reasons. Through this criminal exercise, thousands, if not tens of thousands of PVCs and their sensitive serial numbers were collected. 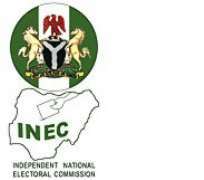 It is strongly suspected that the criminal activity was discretely coordinated and perfected by criminal syndicate operating from INEC’s National and Anambra ICT departments. We further suspect strongly that the 8, 540 “accredited voters” who never voted in the just concluded Anambra 2017 Governorship Election are part of “the uploaded voted voters” who never neared polling booths on Election Day but were scientifically counted as “successful voters”. This large number (8,540) may most likely have been declared as “accredited un-voted voters” because time ran out of those who were hired to fake them and level their numbers using fake thumb printed ballot papers. It is also a general knowledge that it is more difficult to be manually and electronically (via card reader) accredited than to vote. The clear implication of this is that, if the above is true, then only the INEC’s ICT syndicate and its favored political party and its candidate know the actual number of “successfully uploaded” fake voted voters perfected with fake thumb printed ballot papers on Election Day. If true, it may most likely be in tens of thousands. It is further recalled that the authorities of INEC had during the announcement of the result of the Anambra 2017 Governorship Election on 19th November 2017, declared as follows: (a) total registered voters in Anambra -2, 064, 134 (two million, sixty four thousand, one hundred & thirty four), (b) total accredited voters-457, 311, (c) total votes cast-448, 771, (d) total valid votes-422, 314 and (e) total invalid or rejected votes-26, 457. This clearly shows that out of 457, 311 citizens that were accredited who ought to have voted immediately after accrediation, only 448, 771 voted while 8, 540 never voted despite being accredited. Low voter turnout especially in governorship poll has become a recurring decimal in Anambra State. This had been on since 2003 when Peter Obi presumably won with 235,000 popular votes out of the total registered population of 1.9m but was rigged out. Obi’s popular votes were rigged and replaced with intimidating figures of fake votes. The Justice Garuba Nabaruma led Tribunal later in 2005 recounted the presumed winner’s valid votes using original copies of filled and duly signed FormEC8As of accredited party agents and independent observers; leading to declaration of the presumed winner as the substantive winner in August 2005. The Enugu Division of the Court of Appeal later in March 2006 upheld the decision of the Tribunal leading to his swearing in on 17th March 2006. In the February 6, 2010 governorship poll out of a total registered voting population of 1.84m, only 301, 232 (16.3%) voted; out of which Peter Obi of then APGA won his second term with only 97, 833 valid votes, followed by Dr. Chris Ngige of ACN with 60, 240 and Prof Charlie Soludo of PDP with 59, 355 votes. In the November 16th and 30th 2013 governorship election in the State, out of a total registered voting population of 1,776, 167; only 442, 242 voted (25%) and 16, 988 were invalid while 425, 254 were declared valid; out of which Mr. William Obiano of APGA won with 180,173 valid votes; followed by Anthony Nwoye of PDP with 97, 700 and Chris Ngige of APC with 95, 963 valid votes. In the just concluded November 18, 2017 Anambra Governorship Poll, out of total registered voters of 2, 064, 134; only 448, 771 (21%) voted; 26, 457 were declared invalid and 422, 314 were declared valid votes cast; out of which incumbent Governor William Obiano of APGA scored 234, 071 valid votes, followed by Anthony Nwoye of APC with 98, 752 and Henry Oseloka Obaze with 70, 293 votes. A total of 457, 311 were accredited to vote and 8, 540 of the accredited voters never voted. It was also discovered that over 350, 000 registered voters have not received their PVCs in Anambra State out of the State’s total registered voting population of 2, 064, 134. Specifically, prior to the March 28th and April 11 General Elections of 2015 in Nigeria, out of 1,963, 173 registered voting population in Anambra State only 1, 658, 967 were issued with their permanent voters’ cards (PVCs) as at 12th March 2015, leaving behind 304, 203 registered voters without PVCs. Also out of 100, 961 registered voters since 2015, only 50% had received their PVCs; indicating that over 350, 000 have not been issued with PVCs till date and did not participate in both 2015 General Elections in Nigeria and 2017 Governorship Poll in Anambra State. It further indicates that a total of 1, 708, 967 registered voters out of 2,064, 134 registered voting population are issued with PVCs in the State out of which 448, 771 (26%) voted in the just concluded Governorship Poll. It is also credibly estimated that between 500, 000 and 1m citizens are eligible to vote but yet to be captured as registered voters in Anambra State. That is to say between 900, 000 and 1.4m citizens are disenfranchised and denied their rights to participate or vote in the voting process in Anambra State. According to recent media reports quoting the National Bureau of Statistics (NBS), 61% of Nigeria’s estimated population of 175m-180m or 110m are eligible to vote in Nigeria; out of which only 68, 834, 252 were registered voters as at 2015, leaving behind 41m others unregistered or as ghost voting population in Nigeria. Also out of 68, 834, 252 registered voters in the country as at 2015; only 56, 768, 406 received their Permanent Voters’ Cards (PVCs); leaving behind 12, 065, 406 registered voters without PVCs. In the 2015 Presidential Election, only 28, 587, 564 registered voters voted; leaving behind 40, 246, 688 as registered voters who did not vote; in addition to 41m unregistered voting population; totaling 81, 246, 688 who excluded themselves or were excluded in the electoral or voting process in Nigeria till date. Geopolitically speaking or going by geopolitical breakdown of registered voters in Nigeria as at 12th March 2015, Southwest Zone had a total registered voting population of 13, 731, 866; out of which 8, 965, 126 were issued with PVCs, leaving 3, 766, 740 without PVCs. The South-south Zone had a total of 10, 059, 765 as registered voters, out of which 8, 365, 765 had their PVCs leaving 1, 653, 582 without PVCs. Southeast Zone had 7, 665, 859 as registered voters out of which 6, 614, 934 were issued with PVCs leaving 1, 050, 925 without PVCs. That is to say that the entire Southern Nigeria had a total of 31, 457, 072 as registered voters out of which 24, 985, 825 were issued with PVCs leaving 6, 471, 247 without PVCs. In the Northwest Zone of Northern Nigeria, total of 17, 620, 436 were registered to vote out of which 16, 096, 060 had their PVCs, leaving only 1, 524, 376 without PVCs. North-central had 9, 767, 411 registered voting population, out of which 7, 651, 505 were issued with PVCs leaving 2, 115, 906 without PVCs; while the Northeast Zone ravaged by Boko Haram insurgency had a total of 9, 107, 861 registered voters, out of which 7, 722, 653 were issued with PVCs leaving only 1, 385, 208 without PVCs. That is to say that entire Northern Nigeria excluding the FCT (Abuja) had a total of 36, 495, 708 registered voters out of which 31, 470, 218 were issued with PVCs leaving only 5, 025, 490 without PVCs. The Federal Capital Territory (FCT) as part of Northern Nigeria had a total registered voters of 881, 472 out of which 569, 109 had their PVCs as at 12th March 2015 leaving 312, 363 without PVCs. That is to say that the entire registered voting population in the North as at 12th March 2015 was 37, 377, 180 as against the South’s 31, 457, 072; totaling 68, 834, 252 registered voting population; out of which 56, 768, 406 were issued with PVCs leaving 12, 065, 846 without PVCs in Nigeria till date. It is also important to remind that there had never been major voter registration, updating, revalidation and issuance of PVC exercises in Nigeria since those of 2011 and 2015. The issue as to the ethno-religious identities of members of registered voting population and issuance of PVCs especially in the North is also important to be revisited; whereby members of Muslim population in the North including hundreds of thousands of under-age citizens and the psychically challenged turned out to be the largest registered voting population and recipients of PVCs while non Muslim population including the ‘guest citizens’ were disproportionally captured and issued with PVCs. The referenced disproportionally treated voting population also constitutes largest percentage of the unregistered voting population in Northern Nigeria till date. In other words, the least registered voting population and recipients of PVCs in Northern Nigeria including the FCT are members of ‘guest and minority’ or non Muslim populations. The largest percentage of the NBS estimated 41m unregistered eligible voters in Nigeria and the non recipients of the undistributed 6, 471, 247 PVCs in the country are also made up of citizens of Southern Nigeria especially those of Southeast and South-south including those resident in Lagos and other parts of the Southwest Zone. We challenge INEC to proof us wrong by publishing the names of the owners of the 12, 065, 846 undistributed PVCs and their State of origin or residency in Nigeria. Also, the largest segment of the unregistered 41m voting population in Nigeria comprising citizens of Southeast and South-south in Southern Nigeria and ‘guest’ and ‘minority’ non Muslim population in Northern Nigeria was not captured or registered not because they did not want to be registered but because of deliberately created tedious and frustrating processes and procedures put in place by INEC so as to scare them away; whereas in Northern Nigeria especially among Muslim population, voter registration and issuance of PVCs were and still done using proximities and proxies such as polling units, Emirs, Imams and ward and family heads, etc. Sirs, Nigeria is long overdue for digital or electronic voting and its simplified application methods. This is more so when many private and public academic and non academic institutions have successfully gone digital in Nigeria. Specifically, there is successful mobile or electronic banking now in Nigeria through the trios of ICT powered “internet”, “intranet” and “extranet”. The National Open University of Nigeria (NOUN) has successfully operated “e-exams” and “e-tutor marked assignments”; likewise Oko Fed Ploy, JAMB, WAEC, NAPTEB, etc. Therefore, Sirs, introduction and use of digital or electronic voting is long overdue. It should inexcusably be introduced to exist side by side with the existing manual voting system. While manual voting system should be retained for accessibility of Nigerians of remote and rural localities and as alternative in the event of network congestion and associated others; the digital or electronic voting should be put in place for Nigerians of urban townships and network accessibility as well as those in Diaspora. The electronic voting will also capture the largest percentage of ‘elite’ and ‘independent’ voters who usually shun polling booths in the slightest atmosphere of fear and threats. Just as Nigerians can stay wherever they are to do mobile banking, electronic or digital voting offers similar opportunities so long as it is election time or hours. The electronic voting system should also be configured in such a way that registered voters can periodically revalidate their PVCs online or electronically through INEC’s ICT data system (i.e. designated website). During voting, voters can easily use their PVCs wherever they are and specifically restricted to or programmed for their voting residencies or polling areas to effect accreditation before voting. Electronic voting will also enhance the fundamental human right of political participation in Nigeria especially the rights of Nigerian citizens in Diaspora to participate in political and electoral process in their mother country. To ensure this, Electoral Act of 2010 as amended shall be amended. Part of electronic voting system will also involve effecting some amendments in the Electoral Act of 2010 to liberalize and dualize voters’ registration or for the existence of manual and electronic voters’ registration, updating and revalidation. Through our extensive investigations especially during the 2015 General Elections in Nigeria and the Anambra 2017 Governorship Poll, we saw the introduction and use of electronic voting system in Nigeria as a major solution to most, if not all the challenges confronting election midwifery and conduct in Nigeria. The challenges thrown up by the Anambra 2017 Governorship Poll such as indiscriminate buying and selling of PVCs and scientific manipulation of same through INEC’s ICT departments; polling booth voter bribery, threats of violence against voting population and election boycott, low voter turnout especially among elite and independent voters, militarization and over-spending of public funds in poll security, late arrival of polling materials and personnel, threats and fears generated by state and non state actor threats of violence, money politics, inducement and threats of victimization against voting population especially by the incumbents, generation of alarming number of invalid votes, non-issuance of PVCs, tedious voter registration and PVC collection processes, poll security deployment corrupt practices such as police and army roadblock extortion; etc, are capable of becoming a thing of the past once digital voting is put in place and made citizen and operationally friendly in Nigeria especially against the backdrop of the coming 2019 General Elections. It saddens our heart that despite the clear provisions in the Electoral Act of 2010 as amended especially as they concern continuous voters’ registration in Nigeria, the authorities of INEC have not lived up to the Commission’s constitutional and statutory responsibilities. As highlighted above, over 41m eligible Nigerian voters dominated by citizens of Southeast, South-south and Northern non Muslims are yet to be registered as voters in Nigeria. Over 12m Nigerians dominated by citizens of the same geopolitical regions are still denied PVCs. It must be pointed out again that there had never been any major national voters’ registration and PVC distribution exercise in Nigeria since 2015 geared towards balancing the imbalances. By the Chapter Four of Nigeria’s 1999 Constitution, political participation through right to vote is inviolable and inalienable right or fundamental human right. By the provisions of Sections 9-23 in the Part 3 of the Electoral Act of 2010 as amended, processes for voters’ registration are clearly provided. Specifically by Section 10 of the Act and its amendment, continuous voters’ registration including updating and revalidation until 30 days to the general elections is also mandatorily provided and imposed on INEC as a duty. But the realities on the grounds strongly indicate that these provisions have steadily been observed in breach by INEC since 2015. Therefore, we strongly call on INEC to rewind and apply the same methods it applied in Northern Nigeria where it extensively used or consented to the use of polling units and proxies such as Emirs, ward, clan and family heads and Imams; so as to get the over 41m unregistered Nigerian eligible voting population dominated by the affected citizens of Southeast, South-south and non Northern Muslims to be registered as voters in Nigeria and balance the imbalances or close the wide gap in the country’s voter registration and PVC distribution charts. Bearing in mind clear provisions of Sections 10 (prohibition of state religion or dominant religious practices), 17 (forbids state including INEC from discriminatory conducts) and 42 (forbids discrimination against citizens) of Nigeria’s 1999 Constitution, INEC must reject discrimination and its practices; capture and register every eligible citizen irrespective of his or her tribe or religion as registered voter in Nigeria. The 41m unregistered voters in Nigeria must inexcusably be captured by the Commission as registered voters. INEC must also apply the same methods it applied in the North especially among Muslim population to ensure that most, if not all the 12, 065, 846 undistributed PVCs mostly belonging to Nigerian citizens of Southeast, South-south and Northern non Muslims are given to them. We call on the authorities of INEC to thoroughly investigate the reported misconducts highlighted above especially the possible scientific manipulation of figures as highlighted above. Specifically the INEC’s National ICT Directorate headed by one Chidi Nwafor and its Anambra department and all its key personnel alongside the Anambra REC have a serious case to answer as why “there were 8,540 accredited voters who never voted in the just concluded Anambra Governorship Poll”; more so when “simultaneous accreditation and voting” method was strictly applied by the Commission across board during the Poll. We ask: Is it correct to say that thousands, if not tens of thousands of names from procured PVCs were uploaded through INEC’s ICT personnel as “voted voters”; to be perfected with fake thumb printed ballot papers; only for the number of fake thumb printed papers to fail to match the criminally uploaded figures due to want of time or space during the said voting? It is recalled that we had in the course of our Anambra Governorship Poll pre-election advocacy including the letters we wrote to INEC Chairman and Anambra REC raised integrity question regarding the INEC’s ICT departments and their personnel especially those in Abuja (headed by one Mr. Chidi Nwafor) and Awka, Anambra State. The question went unanswered till date. The authorities of INEC had been and are still totally condemned for the long standing vacuum and endless legal battles it created and allowed in the Anambra Central Senatorial seat. When it was prime time for the Commission to conduct fresh election into the seat as ordered by the court of last resort or Appeal Court, INEC absconded and resorted to legal technicalities, personal interests and biases. Totality of these has created a long standing vacuum and denied the people of the district a seat in the Senate till date. Nature has never accepted vacuum in leadership in Nigeria or any part thereof, but INEC has impeached nature and created one since late 2015. Therefore, INEC’s attempts to deny some parties their right of appeal by hurriedly fixing 13th January 2018 as a date for election into the long standing vacant seat; without allowing the main appeal to be disposed at the Supreme Court are totally rejected. We understand that there are several court cases still pending over the issue including those at the lower courts, but we are not unaware of Section 287 (1) of Nigeria’s 1999 Constitution over the supremacy of the decisions of the Supreme Court of Nigeria and its binding effects on all lower courts, authorities and persons in Nigeria once given or pronounced. INEC is therefore called upon to allow the main appeal to be disposed of at the Supreme Court. The Supreme Court decision on the matter is very important so as to rest such issue once and for all and disallow rearing of its ugly head in future in the country. INEC must also avoid taking further damnable electoral steps capable of plunging Nigeria or any part thereof in flames. If the Commission can abdicate its constitutional and statutory duties in the case of Anambra Central Senatorial seat, it means it can do same one day in a governorship and presidential election by “refusing to conduct its election on account of court order or judgment”. Our main purpose of writing the above named seven core electoral stakeholders in Nigeria is to remind them of the need to start now to tackle the challenges highlighted above so as to get it right in 2019 General Polls. Our letter is also designed to compel the said seven core electoral stakeholders in Nigeria to wriggle themselves out of their usual fire brigade approaches especially against the backdrop of the coming 2019 General Polls in Nigeria. The seven core electoral stakeholders in their official capacities are carefully identified and drawn from electoral law makers and amenders (AGF and leaderships of Senate and House of Reps); electoral security providers (IGP and his subordinate institutions); and electoral process guardians and election conductors (INEC and its departments).